A swing and a miss. Just as pro-golfers often don’t get a hole-in-one after they tee off, brands occasionally miss the mark delivering creative work. Branding is part art and part science. If a company forgets to share the love between the two, campaigns can fall short and disrupt the core customer base. Even worse, campaigns that lack an understanding of the consumer and what they think can have detrimental effects on the brand if left uncorrected. Below are 4 examples of global brands that failed to deliver campaigns that stack up to brand expectations. Reviewing brand approaches with a behavioral science lens can solve this problem. Bloomingdales’ largest advertising campaign did not go over as planned. Rather than joyfully suggesting an adult version of eggnog around the holiday season, the magazine advert suggested other nefarious activities. 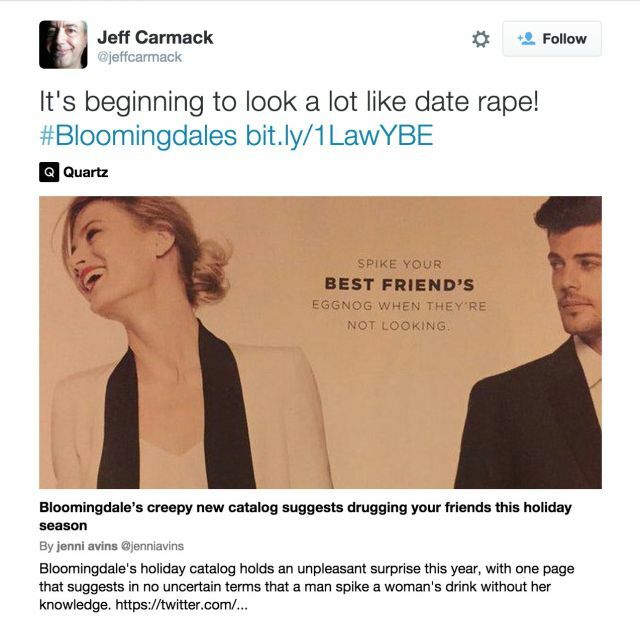 It’s clear that Bloomingdales did not intend to encourage sexual assault, but their carelessness caused an uproar nonetheless. IBM, a major legacy technology company, is also guilty of launching insensitive ads. 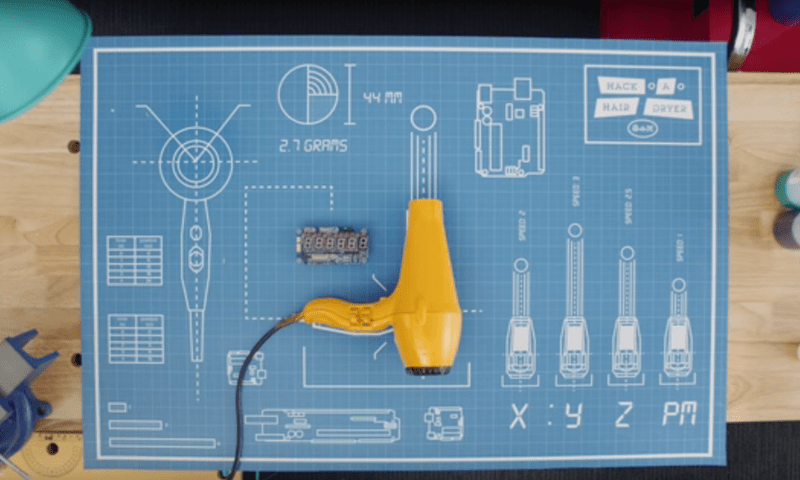 In their “Hack a Hairdryer” campaign, the brand attempted to recruit female employees into the ranks. The choice to use a hairdryer as the focus of the hacking immediately set off alarm bells in the tech community by limiting the potential of female applicants towards working on beauty products rather than rockets. Rather than working to reduce the gender inclusivity gap, IBM actually worsened its position and image with the creative flop. When KFC entered the Chinese market in the 1980’s, the brand translated its famous slogan “Finger Lickin’ Good” into Mandarin. What the brand forgot to do, however, was explore how fluent Mandarin speakers would receive the literal translation. This ultimately resulted in Chinese signage that read “Eat Your Fingers Off” before the brand caught its mistake and corrected the problem. These examples demonstrate the importance of applying behavioral science by exploring perspectives that are different from one’s own, rather than through nudging. Academic exploration into the reason behind mismatches in expectation and reality boils down to the mental models that we think with, and are responsible for guiding our actions. The age-old question “is the glass half empty or half full” reveals that there can be many different ways to view the same problem. Strategic brand campaigns may not be strategic at all. This is an example of mental models at play. An individual with a background full of resources may see the glass half empty, while another who hails from a background of scarcity may see the glass half full. This same paradox applies to those involved with planning and evaluating branded campaigns. Rarely do views of the glass fluid levels shift unless an individual is exposed to the alternative viewpoint. When those who are the closest to branded content share ideas, the collaboration is often with like-minded individuals in a closed circle. Certainly, if KFC had consulted with local analysts or run pre-market entry tests, the company would have been enlightened about the improper translation and could have predicted how the mistake would impact the brand. What most likely happened, is that the creative or strategic team for KFC validated their ideas internally. This internal validation leads to a confirmation bias that underpins the importance of understanding how others will receive the branded campaign. Before using behavioral science to change the decision-making activities of consumers, applying it internally will eliminate managerial biases that can spell major trouble for global brands. To reduce the impact of branded campaigns “that miss the mark”, brands need to have the intended content evaluated by consumers with no connection to creative well before it enters the market, rather than playing catch up after the fact.